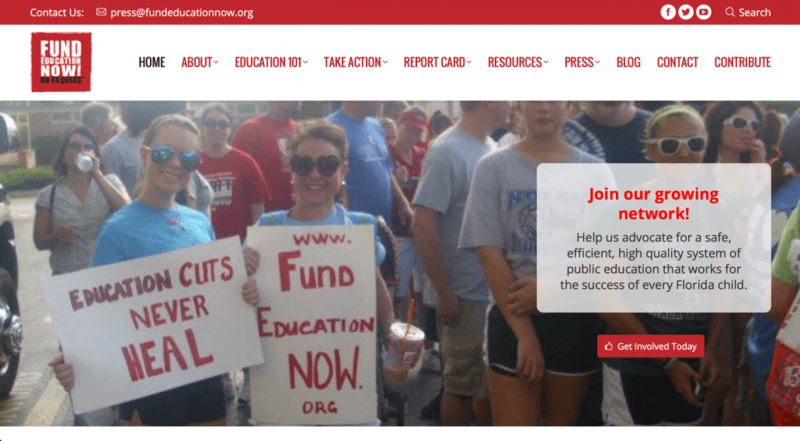 FundEducationNow.org, was established in 2009 by Florida moms Kathleen Oropeza, Linda Kobert, and Christine Bramuchi, in response to the state Legislature’s aggressive public education funding cuts. According to the 2010 Census, Florida ranks 50th nationally in per pupil funding. The women resolved that Florida’s children would not be left unprotected in the halls of Tallahassee anymore. 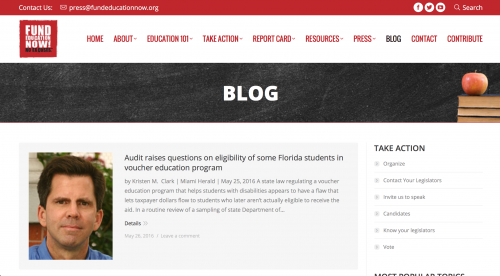 FundEducationNow.org is determined to arm children, parents, teachers and concerned citizens with the power to speak out against the Florida Legislature’s plan to defund public education, disrespect professional educators and cause deep and lasting harm to the state’s 2.6 million school children.Thanks to thousands of volunteer hours and in-kind donations, FundEducationNow.org quickly grew into a statewide non-partisan alliance of dedicated advocates. 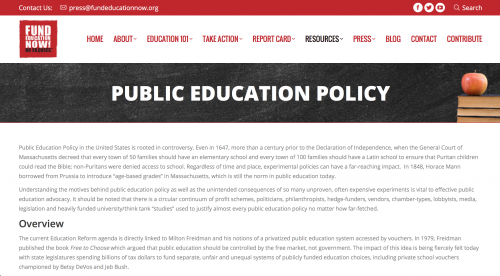 The group uses its web site, issue alerts, grass roots organizing and media outreach to increase its numbers and raise awareness about the orchestrated threat to Florida public education. 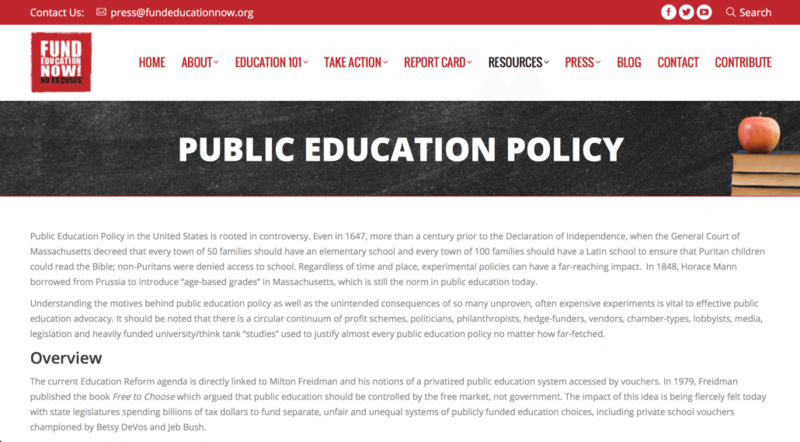 FundEducationNow.org believes success is possible only through a well-planned and sustained collaboration that includes the broadest spectrum of advocates.In addition, FundEducationNow.org is currently a plaintiff suing the Florida Legislature for failing to perform its “paramount duty” to provide a free, high quality, safe, efficient and uniform system of public education as required by Article IX, section 1 of the Florida Constitution.